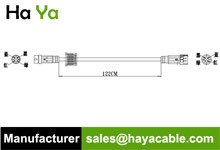 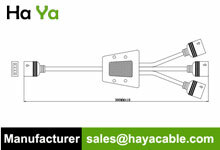 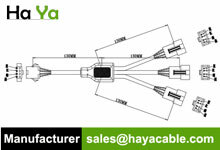 This cable is with one end is 4 PIN Male Connector,the other end is 2 SM 4 PIN Female Connector & 4 PIN Male Connector, especially designed for LED project installation. 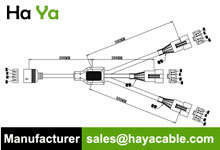 Left Side: 4PIN Male Connector. 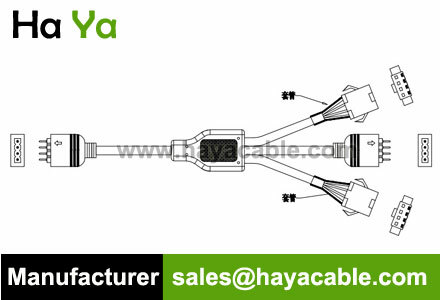 Right Side: 2 ×SM 4PIN Female Connector & 4 PIN Male Connector.